Ada pertanyaan untuk The Icon Hotel? Dirancang untuk wisata bisnis dan plesiran, The Icon Hotel terletak strategis di Hua Thanon, salah satu daerah lokal paling terkenal. Dari sini, para tamu dapat menikmati akses mudah ke semua hal yang dapat ditemukan di sebuah kota yang aktif ini. Dengan lokasinya yang strategis, hotel ini menawarkan akses mudah ke destinasi yang wajib dikunjungi di kota ini. Gunakan kesempatan untuk menikmati pelayanan dan fasilitas yang tidak tertandingi di hotel Samui ini. Hotel ini menyediakan Wi-fi di tempat umum, tempat parkir mobil, layanan kamar, salon untuk menjamin kenyamanan terbaik bagi para tamu kami. The Icon Hotel memiliki 14 kamar tidur yang semuanya dirancang dengan citarasa tinggi. Banyak diantaranya memberikan kenyamanan seperti akses internet - WiFi, kamar bebas asap rokok, AC, meja tulis, balkon/teras. Disamping itu, hotel memiliki berbagai pilihan fasilitas rekreasi yang menjamin Anda melakukan bermacam hal selama menginap. Apapun alasan Anda mengunjungi Samui, The Icon Hotel adalah tempat yang sempurna untuk liburan yang menyenangkan. We visited Koh Samui with the priority of kitesurfing, this hotel is located about a 5 minute scooter ride from one of the kite spots on the island. If you are visiting the island to party 24/7 I wouldn't recommend staying in this part of town. However, scooter rental on the island is easy to come by and it is possible to visit every beach. We really appreciated staying in a quieter area that was less touristy. Driving gets much more hectic the closer Chaweng Beach. The Icon is close to our favorite grocery store in Koh Samui (Makro), which is perfect because the rooms have a huge refrigerator and tea kettle! There is also the most amazing fried chicken cart across the street and a great coconut pancake stand right outside. Our favorite food on the island was within walking distance! Super friendly staff and friendly residents made this place a very special stay. Lovely facilities, modern and clean. Basic as no extra amenities offered, but still a good place to stay. Very far away from good beaches (only a pier close by) and stores (only 7-11 close by). 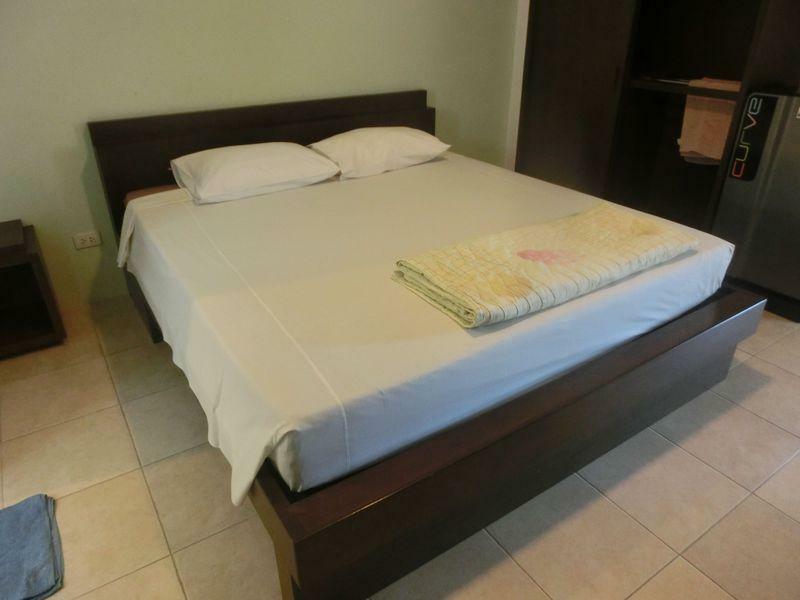 Good value for money and situated on main road that runs through to Lamai. Big room with balcony. Comfy mattress but flattened pillows. Must rent a bike to go places. We have staid there for two night before we moved to another hotel. The room is big, clean and equipped with a fridge. The A/C worked but could be stronger. We got the last room, which was at the ground floor. We could have been staid longer in case the room didn't smell like mould, even though no mould was visible. It is a good price for what you get, but you can get a better room somewhere else. The staffs are really friendly and help you all the time and give even some hints for good spots on the island. The hotel is not bad at all, but try to get another room, prior to check in and availability. There is nothing in the village - no beach, no restaurant, no place to have coffee in the morning. The hotel was empty but ok, room was clean, receptionist nice. Excellent value for money. Quiet, clean, comfortable. icon was fine. No reviews on Agoda, but it looked good. Everything was fine. It's a small hotel, but very similar to other small hotels in Thailand. Air con was great, TV was fine. Hot water worked. Clean. No dirt or bugs or anything. For a basic stay, it is hard to beat On this part of the island. Das Hotel liegt etwas außerhalb, es gibt um die Ecke aber ein super Thairestaurant, zwei 7/11, einen Tesco und einen kleinen Markt! Es ist also alles da was man braucht und auch einen Roller konnten wir 50m weiter problemlos mieten so das wir unsere Tage am Lamai (ca. 5min Fahrt) oder Chaweng (ca. 15min Fahrt) verbringen konnten! Abends saßen wir gerne am Strand der nur einen Katzensprung entfernt ist, hier trifft man auch viele Einheimische. Insgesamt bekommt man genau was versprochen wird, es ist sauber, die Klimaanlage top und für diesen Preis wirklich perfekt. Wer Cluburlaub oder ein Poolrestaurant sucht ist hier allerdings falsch, für Backpacker und Leute die kein Problem damit haben Roller zu fahren aber perfekt! Пребывали в данном отеле целой группой друзей (6 чел-к). Заранее простила номер с видом на джунгли, но увы, наши друзья приехали раньше и заняли наш номер. Заселяют без паспорта и даже не надо показывать листок с бронью. Номера аккуратные, все чисто, единственное нет сейфа, но за все время отпуска ни у кого из нас ничего не пропало. Номера убирают через день, так же меняют постель, полотенца, ставят свежую воду. В отеле можно взять на прокат мопед, что-то около 250 батт, так же есть возможность заказать трансфер в аэропорт. Расположение вполне удачное, но до пляжей далековато пешком. Отель оставил только теплые впечатления! Забота и уют - вот его девиз! Ни на секунду не пожалела, что остановилась в нем!